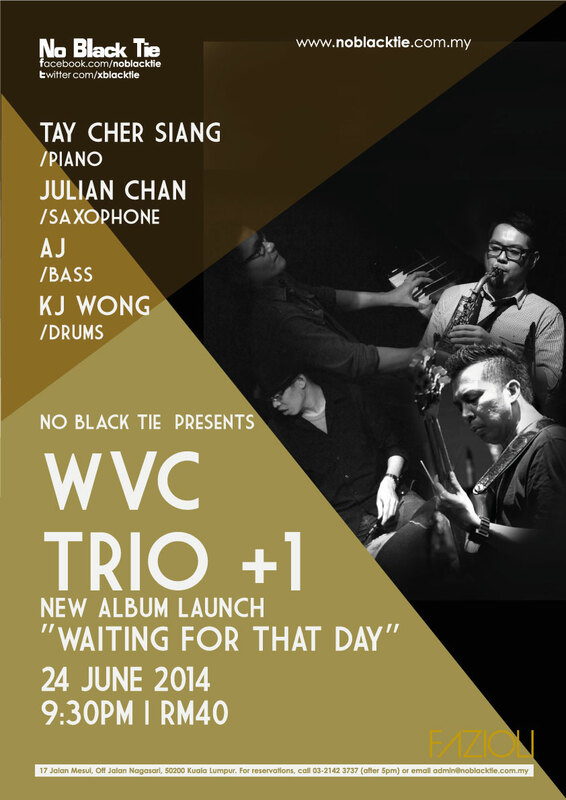 WVC TRiO+1 “WAITING FOR THAT DAY” Album Launch! 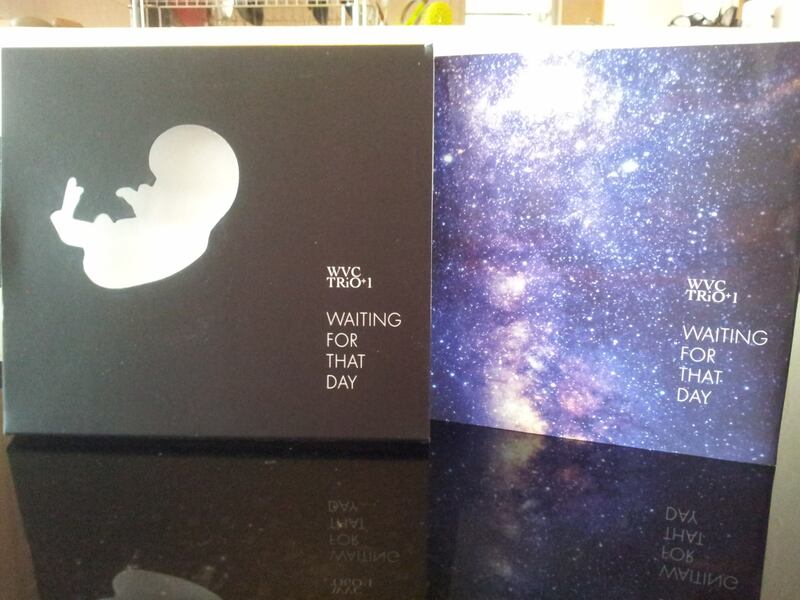 The band’s latest album WAITING FOR THAT DAY is finally out. Although it has taken two years for this album to finally come out, it was an extremely fruitful two years – with new music brewing for that duration of time with a relatively new line up. Fresh from our return from a one-month long tour of China, Macau and Bangkok, we are excited to finally present our album to our Malaysian friends, officially! 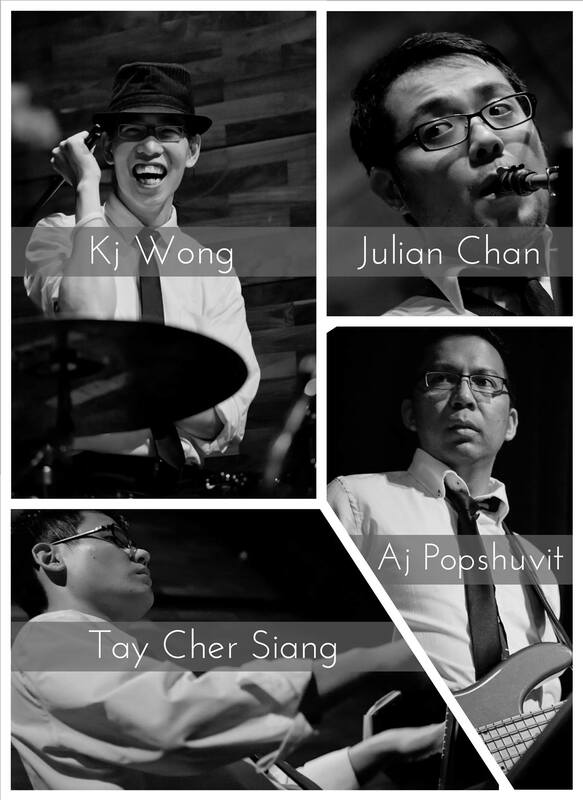 Hence, we would like to officially welcome you to this special occasion, happening next week on Tuesday, June 24th, at KL’s premier jazz club NO BLACK TIE! Like most of our shows, we definitely have no shortage of surprises (even we don’t know what kind of surprises could appear, sometimes! ), so come to expect the unexpected. And of course, you can get a copy (or more) of our CDs at the show, and just hang out with the band. We welcome you to a night of good music, photos, videos, some on-stage conversations, and to be among a good company of friends (and even family). Special thanks to No Black Tie for helping to make this happen. We really hope to see most, if not all of you there. Thank you for your support! 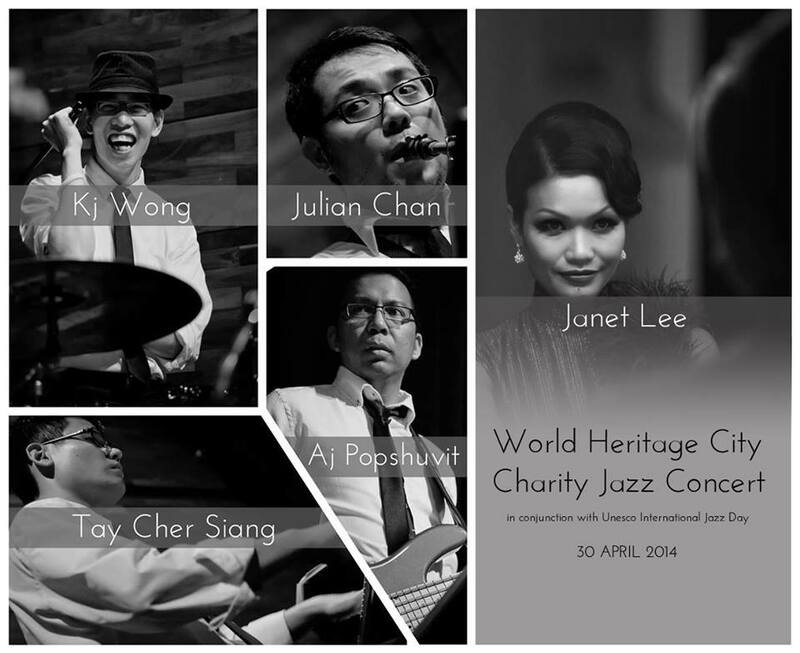 WORLD HERITAGE CITY CHARITY JAZZ CONCERT IN CONJUNCTION WITH UNESCO INTERNATIONAL JAZZ DAY 30 APRIL 2014. This concert will be a fundraiser concert for the following charity bodies: National Cancer Society of Malaysia, Melaka Cancer Society and Melaka Hospice Association. In addition, this concert will also be streamed live online at: www.ustream.tv/channel/wvc-trio-1. and featuring Janet Lee on vocals. IIf you’ve missed our show last week, do come and make this one. If you didn’t, do come again and see what kind of interesting stuff we’d come up with this time! Lol! And last week, we had some really special guests performing with us on the fly, and I believe this Wed, we might have some other guests, too! So, all I can say is that it’s gonna be a night of fun! 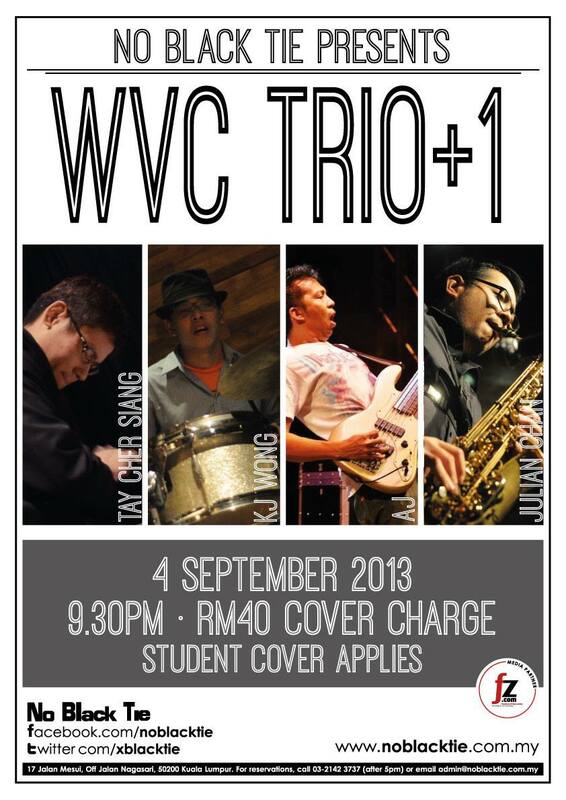 Music starts 9:30pm onwards, cover RM40 (students RM25 – no excuse to not make it!). Sorry it’s a little last minute, although this gig has been confirmed for a while, but here it is anyway! I’ve got two performance dates with my New Quartet this month at No Black Tie – 16th (TODAY!!!) and 30th July, both on Tuesday nights. Do come by and hang out with us and enjoy our music. Here’s our gig poster. All the details are there. We hope to catch you at one of the shows, and do tell your friends!! A bit of a late update, but we hope you could still make it for the show, tomorrow night! 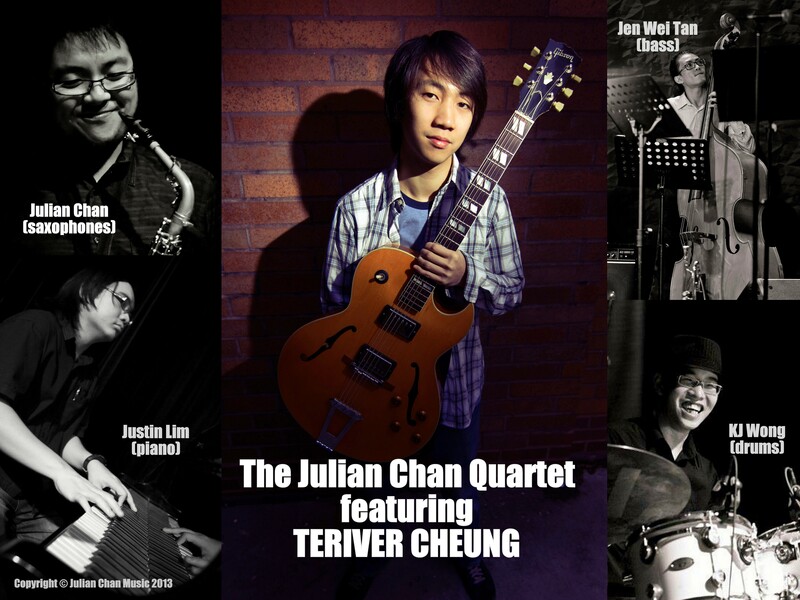 My quartet, the Julian Chan New Quartet, will be performing tomorrow night at the Jazz Room @ Moon Bar from 9.30pm. It’s been a while since our last gig as a quartet, so here we are! In addition, we’ve got a special treat: we’ve got a good friend and special guest Teriver Cheung playing with us on guitars. And special guest Teriver Cheung on guitars. Date and Time: Friday 5 July 2013, 9:30pm onwards. Again, admission to the Moon bar is FREE, so you have no excuse in not making it! But do support the venue by getting drinks and food, to keep the place running, so you will be able to see more bands and acts playing there. 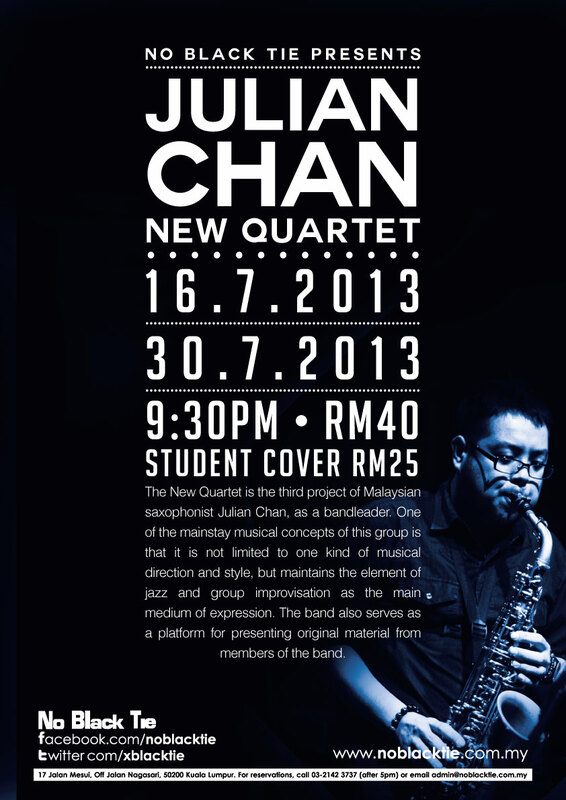 Support live music and live jazz in Malaysia! Greetings from Tianjin, China, our first stop in our WVC Trio +1 China Tour 2013. It’s been a fun trip so far, and we are here for quite a few days, from the 23rd till the 24th of May, where we will leave for Shanghai and stay for a night, then to Suzhou to play our second show. Our hosts in Tianjin had been more than gracious and generous (albeit a little disorganized with the program), treating us quite well, especially in the feeding part. As like our previous trips to China, we got to try all sorts of different dishes that you probably wouldn’t find back home (mine being the vegetarian variety, while my mates eat EVERYTHING else). And it’s not just the kinds of food, but also the amount. Talk about ridiculously large portions, and many dishes, too. I think we feel really bad that a lot of it would go to waste, simply because it was too much to finish. The music part of it was fun, too. Our concert went well, relatively responsive and good attendance by a lot of students from the Tianjin Conservatory. We got to do some workshops and master classes as well. In addition, we also got to meet with one of the faculty of the University of Missouri Kansas City (UMKC), trumpeter and educator, Joe Parisi. He is there to shape up the Conservatory Big Band to perform a few big band pieces for their show (which takes place tonight, at the time of writing). Also, we may get to meet and watch one of the most killer saxophone quartets in the world, the Prism Saxophone Quartet. Our band will also do a short set of our songs, and Joe Parisi will also join us for two tunes tonight, so it’s going to be lots of fun. Good start to the trip. Looking forward to the rest of our shows in China!